DAMASCUS, (SANA) – President Bashar Al-Assad stressed that the national and ethical conditions which are interrelated for the majority of Syrian people are the primary element that confronted the pressures which Syria is exposed to at the hands of the world's most powerful states along with many regional states, adding "the national and ethical conditions withstood many tempting offers of money and other things." In an interview with the Iran's Channel 4, President Al-Assad said the Syrian people play the primary role in preserving Syria as a state, since the role of the state institutions and army can't be separated from the people, and that otherwise the state could not have stood in the face of the popular stance, noting that this was expressed through the spontaneous demonstrations in the street. President Al-Assad emphasized that the solid internal situation is the real barrier which prevents the success of any foreign interference, whether this interference is through pumping money or sending weapons, stressing that the internal and external situations are inseparable and that one cannot assign percentages to their role in the crisis. The President voiced support to the six-point plan brokered by special envoy Kofi Annan, saying that the plan is good and is still viable now and in the future, affirming that Syria approved it out of conviction, particularly the article related to the ending of violence which means the cessation of the criminal acts of the terrorist groups and the cessation of providing them with money and weapons by the countries who sponsor them. President Al-Assad said that western and regional countries who claim to back this plan are making false claims because they consider the failure of the Annan's plan in their favor as a way of accusing Syria of causing its failure and justify their going to the UN Security Council to adopt resolutions against it. He added that some countries are not content with the Security Council; rather they want a military strike similar to what happened in Libya, but it seems that their attempts, until the moment, have failed. "We don't have any information of specific plans, but there are bids by the a few countries to push the issue towards military action. However, a little sense they have prevents them from going to a military action because the region – with its geopolitical importance and social structure – is a seismic fault line, and in a case of any manipulation of this fault line, the earthquake will move far in different directions. 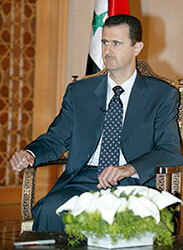 So, this issue is much greater than the calculations of some," President Al-Assad said. He noted that proper analysts for what is going on in the region shows that there is a conflict between two projects: the resistance project which rejects hegemony, and the Greater Middle East project, adding that this conflict is not new but as old as colonialism; it was just given a new name. President Al-Assad pointed out that the New Middle East which people of the region want is a Middle East which is resistant to all projects that come from abroad, all dictations, all occupation and hegemony, as it is a project that stems from the people in the region and their interests. He went on to say that he believes that this conflict will continue, saying "however, we as states and peoples in this region will not allow any other project to pass if it does not express our interests." 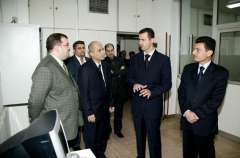 President Al-Assad said that Syria is paying the price for its political positions in supporting the resistance and adhering to the Arab and Islamic rights, in addition to the fact that its geo-political position is important, adding that Syria has always been exposed to interference bids or an arena for conflict between superpowers throughout history. "Controlling Syria means controlling a big part of the political decision in the region, and the attack to which Syria is exposed today is not the first one; in 2005 it was exposed to a similar attack but it failed, so it they moved to another method," he said. President Al-Assad stressed that supporting the resistance in Palestine and other areas will continue as long as the people don't relinquish this support, stressing that Syria has mainly built its policy on the national and popular compass, and not the foreign or Western one. The President stressed that the Palestinian cause is the core of all causes in our region, particularly the Arab region, and if the Palestinian issue isn't resolved and if the rights aren't restored, then there would be no changes in positions even if one waited for generations, adding " now we are speaking about the third or fourth generation since the occupation of Palestine, and the positions didn't and will not change. " "What is happening in Syria has several aspects; international, regional and internal dimensions which converged with each other to carry Syria into a crisis it never experienced before nor did it experience anything similar to it… The international side is mainly linked to the position of countries with colonial history which did not change the essence of their colonialist policies; rather they changed the form and moved from direct occupation to methods of imposing opinions and dictations… they reject the existence of countries which have independence and defend their interests and say no when there is something contrary to their own convictions or principles." President Al-Assad said that the regional aspect is linked to the region's countries and has multiple aspects as well, as there are countries that are shamed by the Syrian political position towards various issues, whether in Palestine, Iraq, Lebanon or elsewhere, adding "they saw a chance in these circumstances to downscale or crush the Syrian role… and then there are countries that aren't necessarily against the Syrian position, but they are subject to foreign dictations and unable to adopt a resolution to express their vision or that of their people." He pointed out that some states formally announced that it will send weapons in one way or another to the terrorist groups, and since these forces spoke about themselves as such then there's no point in discussing this issue or seeking evidence. "In terms of the internal aspect, Syria, like any country, has positives and negatives, but any problems or challenges should not reach the point where a Syrian kills another Syrian… We, as in many countries of the world, have problems related to corruption, equitable distribution of income, equality of opportunities, and economic or political development, but these points were exploited to convert some Syrian who are ignorant or have no principles to mercenaries working against their own country for money," President Al-Assad explained. President Al-Assad made it clear that those who are killing the Syria people are a mixture of outlaws and religious extremists whose numbers are not very big but they are dangerous, along with Al Qaeda or organizations that adopt a similar ideology, stressing that the rate of participation in the killings differed since the beginning of the crisis, but currently the extremists constitute the largest number of killers. He said that these people receive money to commit massacres at specific times to support a certain decision or a particular conflict at the UN Security Council in order to change the balance inside the council, adding that the same thing happened to the resistance in Lebanon in past years when a certain assassination or a particular crime was committed on the eve of issuing a certain decision pertaining to the resistance or the situation in Lebanon. President Al-Assad added that Al Qaeda is present in Syria and a number of persons who belong to this organization were arrested and confessed to committing crimes. "Al Qaeda is a US creation financed by Arab countries, and this is well-known… the Americans adopt an interim policy according to the interim interests. They used to support Al Qaeda and called its members in the eighties – as former US President Ronald Reagan did –freedom fighters, and years later they became terrorists… Now some of them are back to dealing with them and now they say that there's good extremism and bad extremism, meaning that they divide roles and change their labels and terms according to the condition of the U. S.; if Al Qaeda strikes at a country that they do not like, it is good, and if it strikes against the U.S. or its allies' interests in a certain area, it becomes bad." President Al-Assad said that the state's responsibility, in accordance with the Constitution, is to protect all its citizens in all the Syrian territories, and when it takes out a terrorist, it protects dozens and perhaps hundreds or thousands, because a terrorist targets citizens from one place to another. "We didn't release any person whose hands are stained with Syrian blood; we released persons who have taken up arms as a result of false understanding or ignorance or because of the need for money, but they have not committed criminal acts, and they made a self-initiative and turned themselves in to the state and asked to be allowed to return to the correct position in society… it's natural to be tolerant with those and give them the opportunity to be patriotic people again," he explained. President Al-Assad pointed out that reform in Syria is an ongoing process which started in 2000 in parallel with difficult external circumstances faced by Syria pertaining to putting pressure on it to give up the Palestinian cause and stop supporting the resistance. "Indicators today don't show a link between reform and what is going on because the reform now didn't improve the conditions… the terrorists and the countries that back them are not concerned with reform; rather they want chaos. Even if we implemented reform now or before, what happened would have happened, because it was planned abroad and not a spontaneous issue linked to reform," he elaborated. 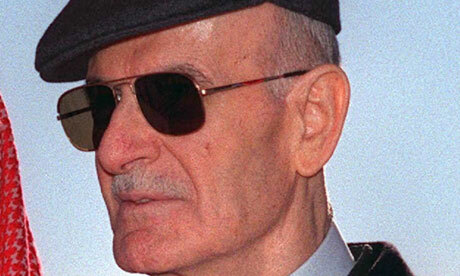 President Al-Assad said that the replication or cloning of any model from one country in another requires cloning the entire people with their history, customs, morals, traditions and the context they are going through, which is practically impossible, stressing there is no model that is applied in a place to resolve a certain crisis that can be applied elsewhere, regardless of the fact what was applied in Libya is not a model of a solution since it transferred Libya to a much worse situation and now everyone can see how the Libyan people are paying the price. "We, in Syria, do not accept any model that is not Syrian and national, regardless of whether it was imposed by superpowers or proposed by friendly countries. No one knows how to resolve the problem in Syria as well as we do, as Syrians… so, any model that comes from abroad is unacceptable regardless of its content." President Al-Assad said that Syria appreciates the objective positions of countries on the international level such as China and Russia, countries in the region like Iran, and other countries in the world, noting that these positions are not in defense of a government or a person as the west is trying to portray them; rather they defend the stability of the region because Syria is an important country and its stability affects the stability of the region and the world. On Turkey's position regarding the Syrian crisis, President Al-Assad stressed the need to make a distinction between the positions of some Turkish state officials and the popular temperament, the later being positive towards what is happening in Syria because they know most of the facts despite the media falsification in Turkey. 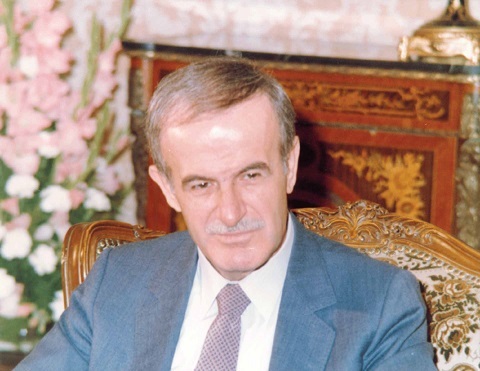 President Al-Assad noted that the Arab League was never allowed to play a positive role in the causes of Arab countries, and that the Arab Summits were mostly arenas of conflict in the face of the proposed projects or concepts that are against Arab interest, adding that the League wasn't allowed to play a role due to the actions of certain well-known countries that always implement foreign plans in the Arab arena. He pointed out that the League was allowed to play a role through these very countries, only it was against Arab countries, which is what happened with Libya when the Arab League gave cover to the bombardment of Libya. 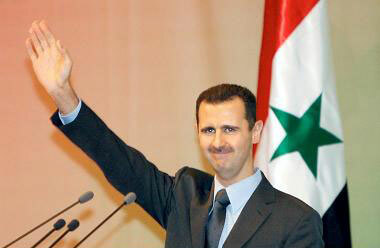 "Syria may have been the only country that openly rejected that decision, and we had to pay the price of that position. So they moved directly after that decision to attack Syria through the Arab League… this is the truth of the Arab League, in the past and in the present," President Al-Assad concluded.